The Leamington Spa hotels listed below are either in the town or we have given a rough guide as to how far they are from Leamington Spa. We hope you enjoy your stay and find your ideal accommodation. Travelodge The Regent Hotel Leamington Spa is located in the city centre, 0.5 mile from Leamington Spa Train Station, 16 miles from Birmingham Airport, 3 miles from Warwick Castle and St. Johns House Museum, and 8 miles from Heritage Motor Centre. The hotel offers comfortable guest rooms featuring TV, tea and coffee making facilities with additional facilities such as hairdryer and ironing board available from reception. Station: LEAMINGTON SPA. 0.5mile. Please note: check in is from 3pm onwards. Exit J14 of the M40 for Leamington, follow A452 for 3 miles to Junction with A425. At roundabout, take 3rd exit for town centre. At mini roundabout take the 1st exit onto Adelaide road. Go across 2 sets of traffic lights and turn right at Clarendon Avenue then take the 3rd right to the Parade. The hotel is on the left just before the Town Hall. Station: LEAMINGTON SPA. 2kilometre. Travelling by car: from M40 (Northbound) take Junction 13. From M40 (Southbound) take Junction 14. Then A452 towards Leamington, and the hotel is situated on the right (5 minutes from the motorway). Built in 1827, The Adams is a special place to stay. Whether on business or leisure, you will experience our high quality service and a refreshing and friendly atmosphere. 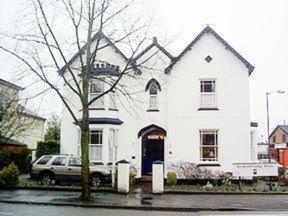 A 10-minute walk from the town centre, this Victorian villa offers free Wi-Fi and free parking, on a tree-lined avenue. Leamington Spa Rail Station is within a 5-minute walk. Each room at Buckland Lodge has a TV and tea/coffee. A 2-minute walk from the train station, Thomas James Hotel has a lively bar and free Wi-Fi. The town centre is a short walk away. All of the en suite rooms at Thomas James Hotel have flat-screen TVs. Some rooms feature four-poster beds. The Best Western Falstaff Hotel was originally built in the 19th century. It offers rooms with a digital TV, tea and coffee making facilities and free Wi-Fi. Guests can enjoy an elegant lounge and relax in a stylish bar. 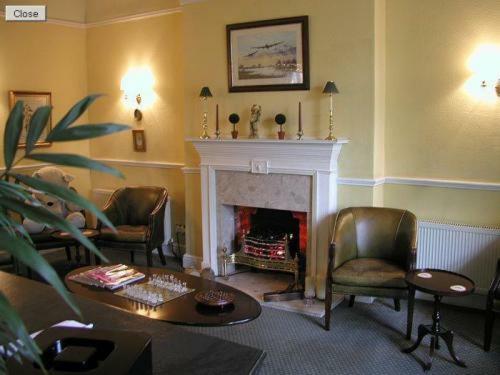 In Leamington Spa, Victoria Park Hotel has ample free secure car parking and a friendly bar. The town centre is a 5-minute walk away. The Victoria offers spacious en suite rooms with satellite TV, tea/coffee facilities and pay movies. Less than 3 miles from both Warwick and Leamington Spa, the Holiday Inn Leamington Spa -Warwick offers easy access to the M40 motorway. The hotel has a bar, restaurant and gym. Woodland Grange is a spectacular residential conference centre 2 miles from Leamington Spa. Set in 16 acres of beautiful grounds, it offers award-winning facilities, free Wi-Fi and free off-road parking. In Leamington Spa's town centre, this elegant hotel has historic architecture, free Wi-Fi and free parking. The rail station is close by. Royal Priors shopping centre is within walking distance of The Lansdowne Hotel. Set within ten acres of elegant, landscaped gardens, Mallory Court Hotel is a country manor house and luxury hotel. It offers Michelin-starred dining just a 5-minute drive from historic Leamington Spa.